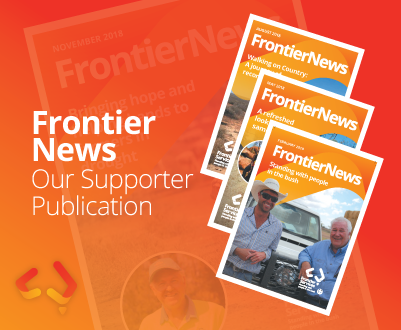 Frontier News is our quarterly publication where we keep our supporters up to date with stories across remote Australia. Click below to view our latest issue of Frontier News! 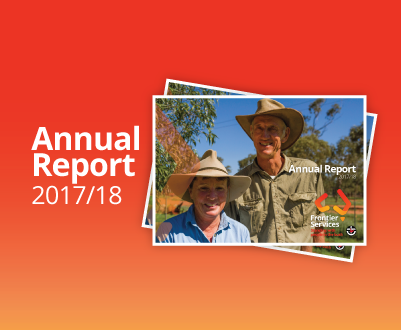 Our annual report on our activities throughout the preceding year 2017/18. 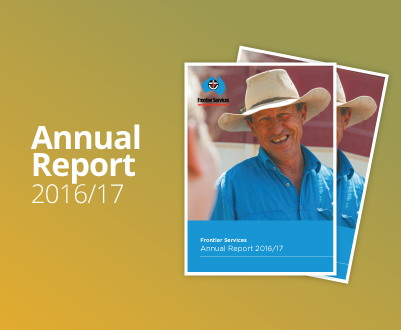 We reflect on another successful year for Frontier Services. 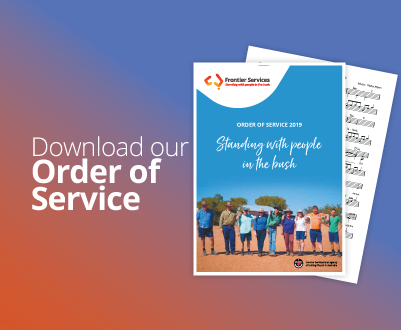 We celebrate national media coverage with the launch of our new brand, we acknowledge with pride the growth in Bush Chaplaincy and our Outback Links Program, our collaboration with our corporate partners, and the positive impact we're having in remote Australia. Our annual report on our activities throughout the preceding year 2016/17.